The adidas BT Feather Team ladies court shoes have a rounded heel ensuring great stability and weigh 320g (11.3oz). These agile badminton trainers feature the abrasion resistant Adituff material placed at the medial forefoot to combat badminton abrasion zones, as well as the Adiprene + insert providing a powerful acceleration during all badminton specific movements. The shoes have a non-marking rubber compound and the Adiprene insert ensuring excellent cushioning. In addition, the BT Feather Team shoes are supplied with the Torsion System which not only stabilises the midfoot, but also enhances control, support and fit. 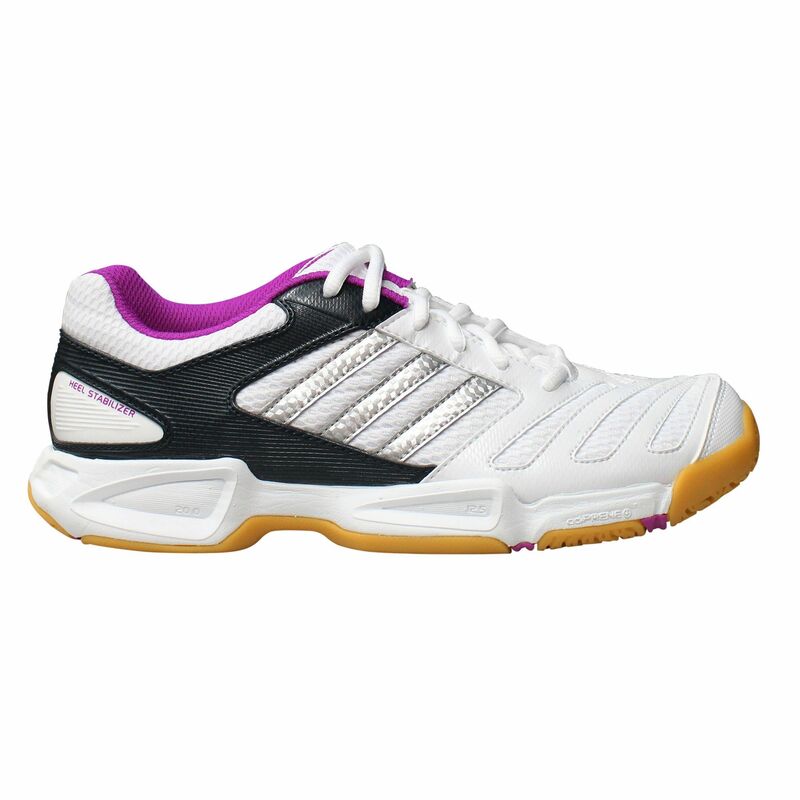 for submitting product review about adidas BT Feather Team Ladies Court Shoes.